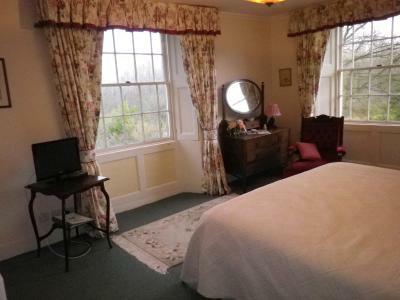 Lock in a great price for Black Dog Farm B&B – rated 8.9 by recent guests! The owners were very hospitable, going out of their way to make sure we had everything we needed. We had our baby with us and they even provided a travel cot. There is a cosy living room that we could use too and gardens to explore. We had a great stay. Perfect location for places we wanted to visit. Very pleasant owners. Fabulous breakfasts... yummy home made bread. 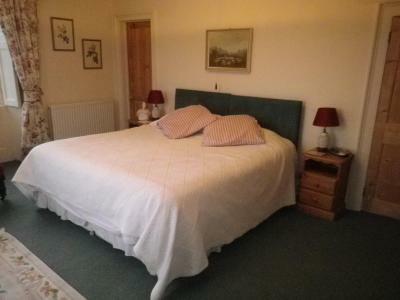 Lovely area, easy to find, very clean/tidy/spacious room with tea/coffee making facilities, and tv. The property was a lovely old farm house. The room we had was incredibly spacious, with a very comfortable super king sized bed. The floor boards are a bit uneven and so are the doors and door frames but this all adds to the character of the building. Our room looked out into the chickens and ducks out the back which we sat watching for some time. There is a kettle for hot drinks and fresh water each day in glass bottles from their own spring. The bathroom was a little dated but the electric shower worked efficiently and there was always more than enough hot water for a nice soak in the bath. Cate the owner was so welcoming and couldn’t do enough for us. She cooked us a fantastic breakfast each morning with freshly made bread and milk fresh from a farm not far from where we were. She gave us helpful advice to get into town and nothing was too much effort. Would love to stay there again! 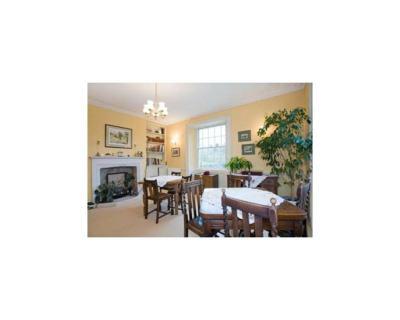 Good home from home values and levels of comfort, superb breakfasts. The hosts Kate and Andy were very welcoming and are happy to spend time with directions and sharing local knowledge. Great use of local produce and you feel really immersed into your rural area. 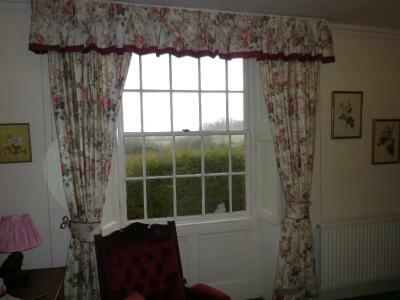 We liked our stay and would happily come back again, the b&b is well placed for visiting Warminster, Bath and Frome. Definitely stay here again if in this area. Very close to longleat. Excellent place. The facilities at the Black Dog B&B were clean, comfortable, and homey. In addition the scenery in the local area is very nice. While I was only passing through I can see that this is a nice place for holidays makers and travellers alike. The staff were incredibly friendly and helpful and that is perhaps the best aspect. The bed in Room 1 was perfect for me - not too firm, just right for an excellent night's sleep. Breakfast was delicious and all home-made; eggs from owners' hens; bacon and bread locally sourced. Black Dog Farm B&B This rating is a reflection of how the property compares to the industry standard when it comes to price, facilities and services available. It's based on a self-evaluation by the property. Use this rating to help choose your stay! Around 13 miles south of Bath close to the village of Chapmanslade, Black Dog Farm B&B offers elegant accommodations 10 minutes’ drive from Longleat Safari Park. 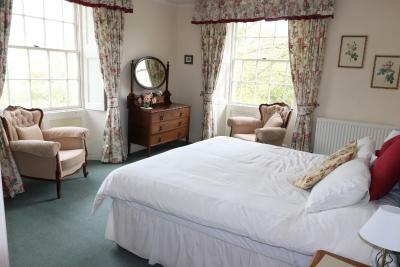 Between Warminster and Frome, this Grade II listed Georgian house serves a traditional full English breakfast and has free parking and WiFi. 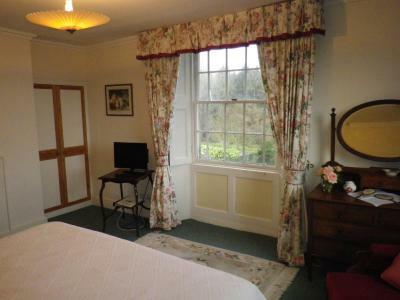 All rooms have tea and coffee facilities, a TV and radio alarm clock. 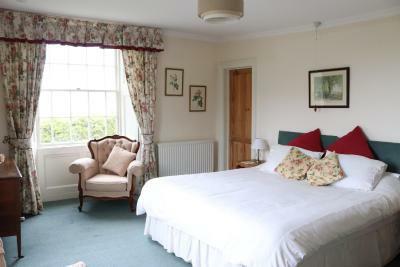 Each room is en-suite, with a shower and/or bath and hairdryer, and enjoys views of the garden. A freshly cooked full English breakfast is prepared using produce from the area, including locally made honey and marmalade, home baked bread, and eggs from the Black Dog Farm hens. Close to the Somerset border, Black Dog Farm B&B is 30-40 minutes’ drive from the World Heritage Sites of Bath city center and Stonehenge, and the attractive cathedral city of Salisbury. There are numerous National Trust and English Heritage properties within easy traveling distance. When would you like to stay at Black Dog Farm B&B? 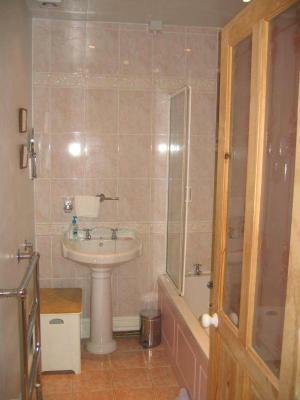 This room with attached bathroom has a TV and DVD player, a radio-alarm clock and tea and coffee-making facilities. 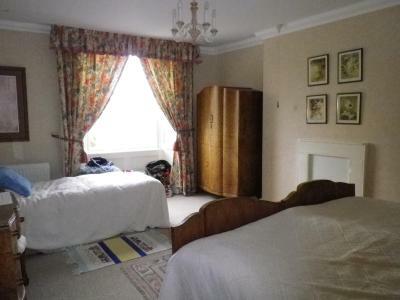 This large, room with attached bathroom has a TV and DVD player, a radio-alarm clock and tea and coffee-making facilities. 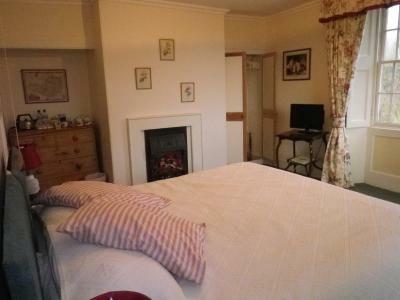 With a whirlpool bath, this room also features a TV with DVD player, a radio alarm clock and tea/coffee making facilities. The family room can accommodate a child aged between 5 to 16 years on a sofa bed, for a surcharge. Please arrange that with the property prior to arrival using the special request box when booking or the contact details on the booking confirmation. The property cannot accommodate children under 5 years of age. House Rules Black Dog Farm B&B takes special requests – add in the next step! Black Dog Farm B&amp;B accepts these cards and reserves the right to temporarily hold an amount prior to arrival. Black Dog Farm B&B accepts these cards and reserves the right to temporarily hold an amount prior to arrival. Please note that only the family room can accommodate children. Children must be aged 5-14 years old as the property cannot accommodate children under 5 years of age. Please inform Black Dog Farm B&B of your expected arrival time in advance. You can use the Special Requests box when booking, or contact the property directly using the contact details in your confirmation. The only thing I would say about the room was that the bathroom has a shredder attached to the toilet as the front of the building is so old. It was no problem but it is a little noisy but we quickly got used to it. All fantastic. No complaints lovely people fab place to stay. Breakfast lovely fresh and cooked perfectly. Almost impossible to find in the dark, on a busy, but unlit, rural road. Satnav advised at night. Nothing could have made our stay any better. Unusual toilet flushing system- a shredder! Lovely breakfast and wonderful couple running it. 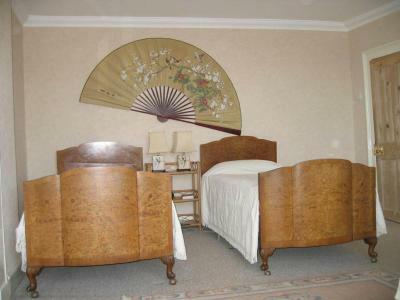 Very helpful answering all questions and was a very comfortable and relaxed stay.